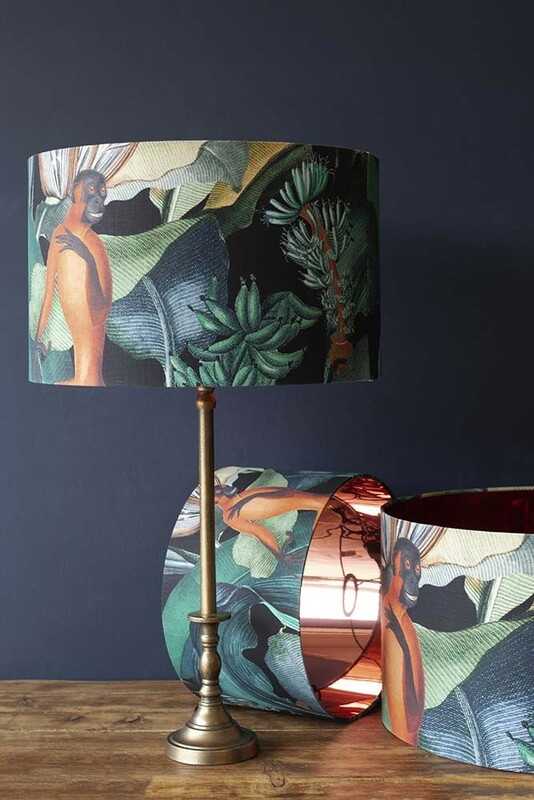 A new collection from Mind The Gap, an eclectic brand hooked on expressing artistic freedom and introducing unseen and undiscovered things into your home, our new selection of Pendant Lights and Lampshades are utterly unique and eye-catching. 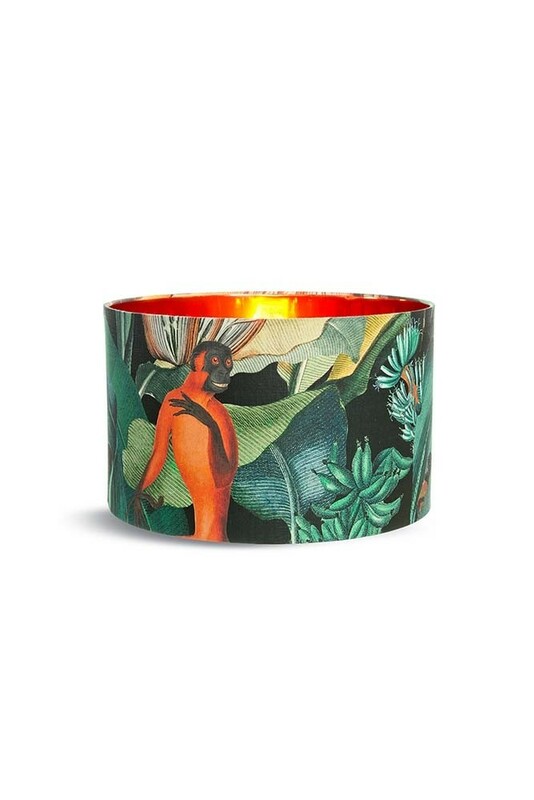 Perfect for those of you who want to put your own unique stamp on your home interiors. 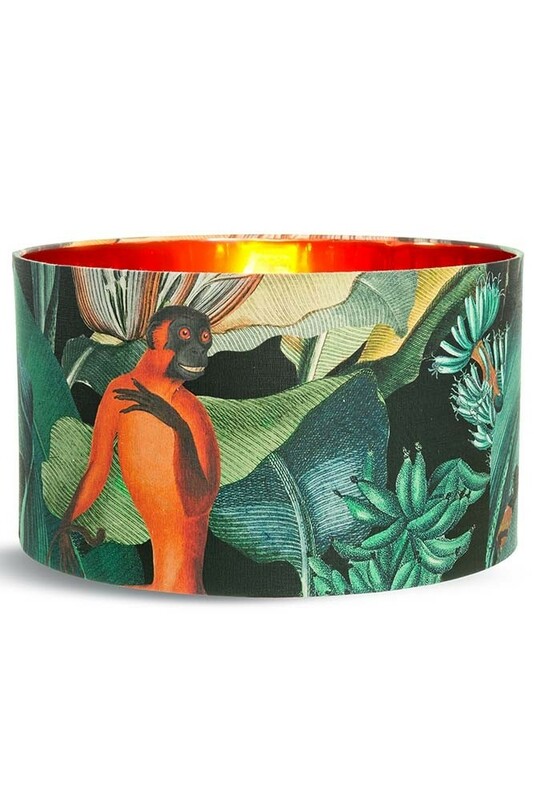 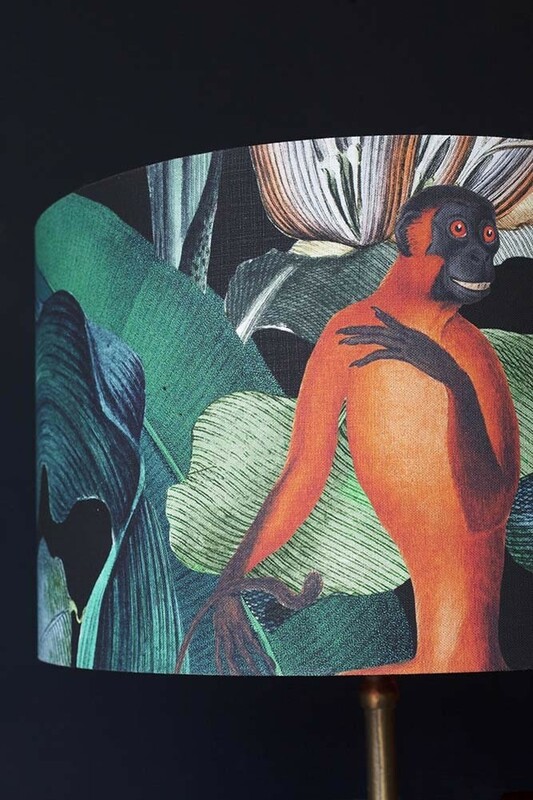 A dark floral and monkey motif print drum lamp shade that will add style and personality to your side tables, coffee tables, console tables, cabinets, drawers and bedside tables, the Bermuda print draws inspiration from the natural elements and exotic habitats of the Caribbean. 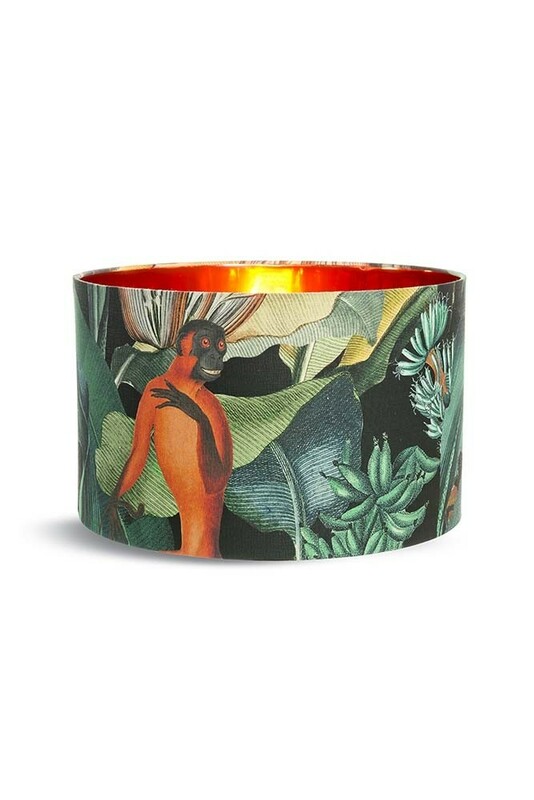 Exuding green lush and incredible colours the bold details of tropical greenery along with playful monkeys and curious succulents create a perfect eccentric atmosphere, making it a one of a kind Lamp Shade!